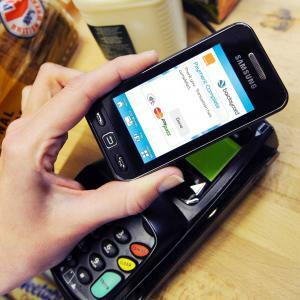 UK Contactless to Reach a Tipping Point in 2011? | NFC Times – Near Field Communication and all contactless technology. The biggest contactless hotspot in Europe, the United Kingdom, is seeing growing card transactions and NFC commercial launches this year, but 2011 may not represent a tipping point for the technology there. As the European country with the most contactless payment terminals in place, along with high-profile NFC commercial rollouts either already launched or planned this year, what happens in the United Kingdom offers a sign for how contactless payment will fare in the rest of Europe and beyond. There will be about 25 million contactless cards on issue and roughly 10% of the country’s merchants will be equipped to accept them by the end of 2011, predicted James McDonald, who heads contactless payments for Barclaycard Global Payment Acceptance, the merchant acquiring arm for Barclays bank and the bank’s Barclaycard credit card unit. Article has about 1870 words.